NEW BEDFORD, Mass.- A judge is weighing whether an involuntary manslaughter charge should be dropped for a Massachusetts teen accused of encouraging a friend to kill himself. Joseph Cataldo, the attorney for 18-year-old Michelle Carter, of Plainville, told a judge Monday that prosecutors are punishing his client for her speech. 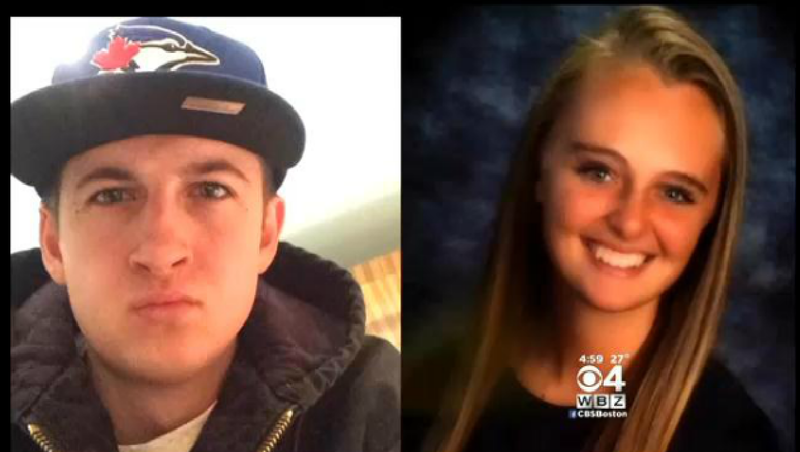 The New Bedford Standard-Times reports that Cataldo said Carter at first tried to discourage 18-year-old Conrad Roy III from killing himself and even tried to get him help by suggesting he join her at McLean Hospital, a psychiatric facility where she was, but he refused. It wasn't until later that Carter became "brainwashed" into assisting Roy with plans to take his own life, Cataldo said, according to the paper. Roy, of Mattapoisett, died of carbon monoxide poisoning in his pickup truck in a parking lot in Fairhaven in July 2014. Carter is being tried as a youthful offender and has pleaded not guilty. In arguing for the charge against his client to be dismissed Monday, Cataldo said Roy texted Carter just days before he committed suicide saying they should kill themselves together "like Romeo and Juliet." "(Expletive), no we are not dying," Carter replied, according to Cataldo. Cataldo argued Roy was determined to take his own life, had been in a psychiatric hospital two years earlier and was on medications related to his mental state. He said Roy left behind suicide notes at his house the day he killed himself, reports the paper. Prosecutors, on the other hand, argued against dropping the charge, saying Carter - through the use of technology - urged Roy to commit suicide and sent berating texts to him when he was having second thoughts. Prosecutor Katie Rayburn argued in court that speech can be the basis of criminal charges and pointed that Carter tried to cover her tracks, even asking Roy to delete her text messages, reports the paper. A police report obtained by 48 Hours' Crimesider alleges that prior to Roy's death, Carter encouraged him to take his own life and repeatedly questioned him as to why he hadn't done it yet. The report further alleges that when Roy "actually started to carry out the act, he got scared again and exited his truck but instead of telling him to stay out of the truck and turn off the generator, Carter told him to 'get back in.'" A motion filed last week made public even more disturbing messages allegedly sent by Carter. "There is no way you can fail... You're strong... I love you to the moon and back and deeper than the ocean and higher than the pines, too, babe forever and always. It's painless and quick," prosecutors say Carter texted Roy days before his suicide, according to the Boston Herald. The paper reports Carter allegedly attempted to convince Roy his family would accept his suicide saying, "Everyone will be sad for a while but they will get over it and move on." "Yeah, you just have to do it. You have everything you need... Tonight is the night. It's now or never," she allegedly texted Roy, according to the paper. At one point, the paper reports, Carter allegedly texted Roy saying, "Do you have the generator?," and when he replied, 'no,' she wrote, "WELL WHEN ARE YOU GETTING IT?" Police documents indicate authorities believe Carter was putting together "a plan to get sympathy." They also allege that after Roy's death, Carter organized a softball tournament to raise money for mental health awareness in honor of Roy and posted several messages on social media about suicide prevention and how much she missed Roy. The documents also allege Carter sent a message to Roy's mother after his death saying, "...There was nothing anyone could do to save him no matter how hard they tried. I never tried harder at something in my life." The judge took the motion to dismiss under advisement. The next court date in the case is scheduled for October 2.